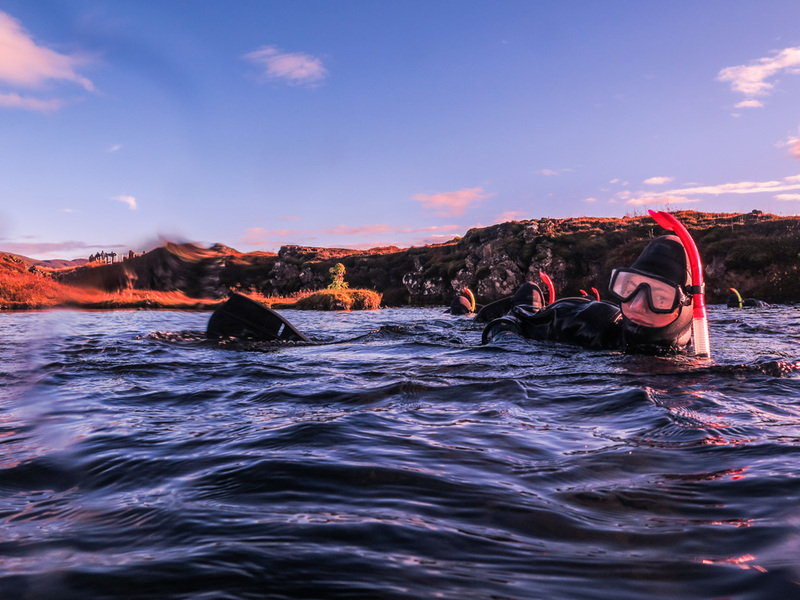 That morning we woke up early as at 9:30 we were about to start one of the best experiences we had in Iceland – snorkeling in Silfra Fissure in the Thingvellir National Park. 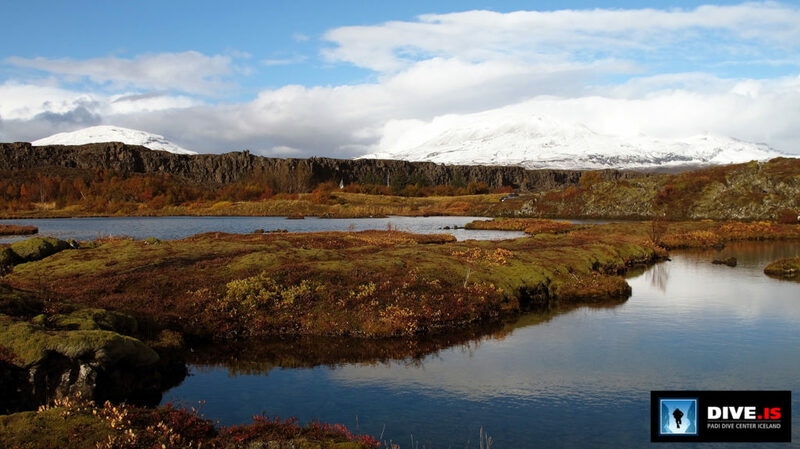 This is a place where the Eurasian and North American continents meet and drift apart every year about 2 cm, creating a lagoon called Silfra where you can swim in pure glacier water between those two tectonic plates! This was an idea of my cousin and I am thankful to him for this. 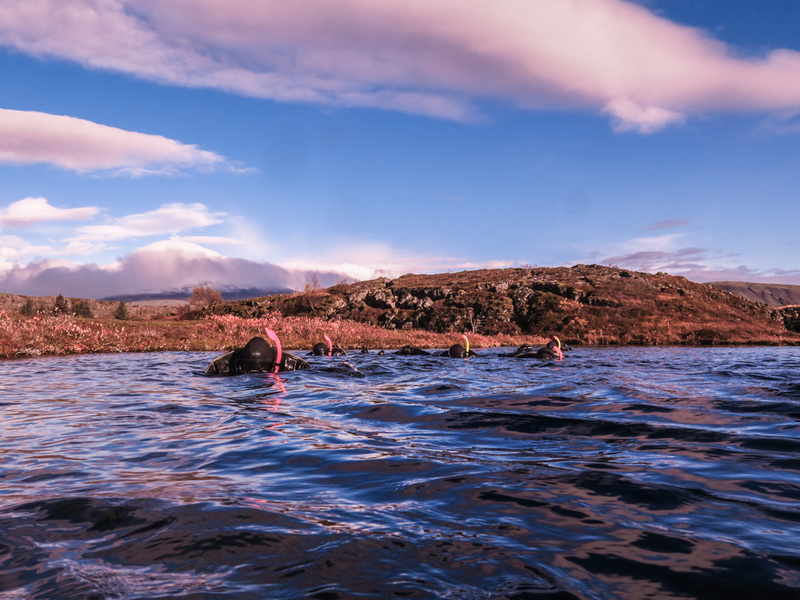 So if you go to Iceland, I hope this post will motivate you to put snorkeling/diving in Silfra on your list! We joined our instructor Scott from DIVE.IS and other 4 people from our group and got ready for the activity which took altogether about 2.5 hours (with actual 45 minutes of snorkeling). 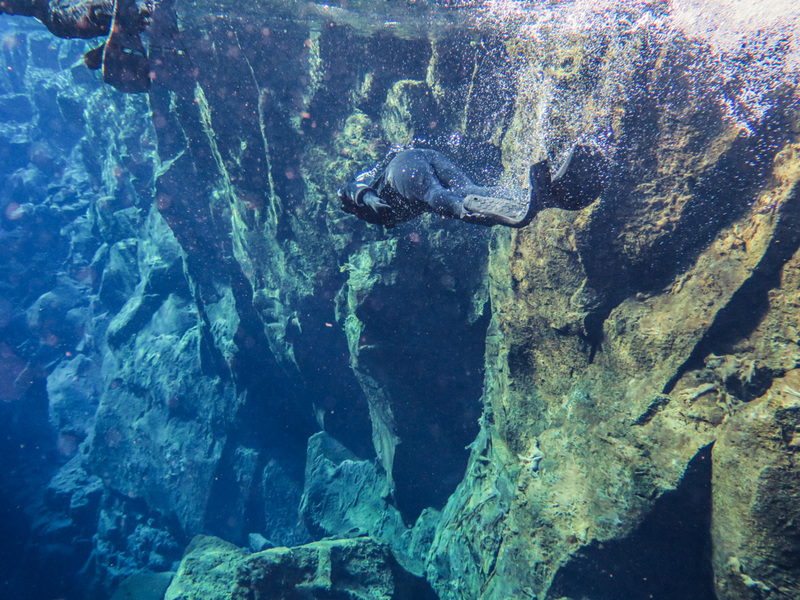 As the water in Silfra has around 3°C all year round, you need to wear a dry suit. It is recommended to wear thermal clothes and some really, but I mean really WARM socks under. So you can imagine that we spent the first hour just by changing ourselves (there is a changing room van available) while being assisted by our instructor and listening to some interesting geological and historical information. 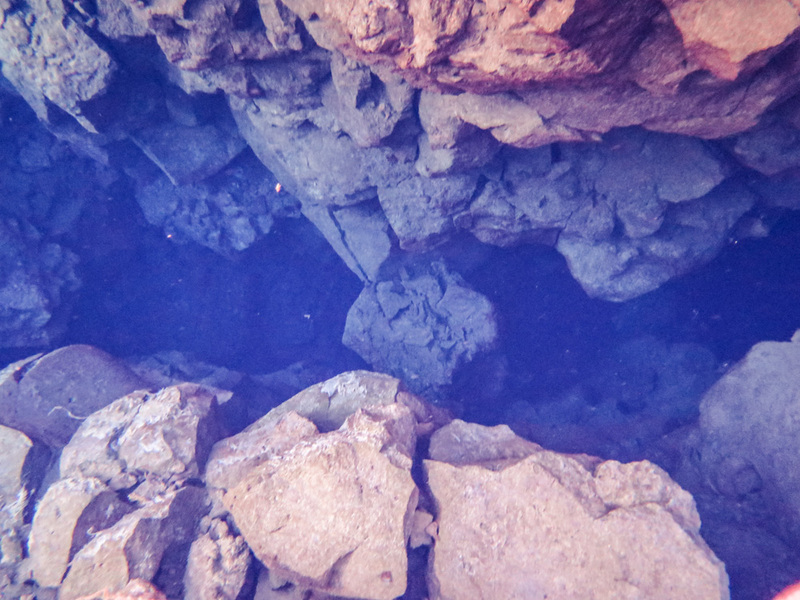 The underwater visibility here was just perfect and on the deepest places up to 20-30 m (for snorkeling). 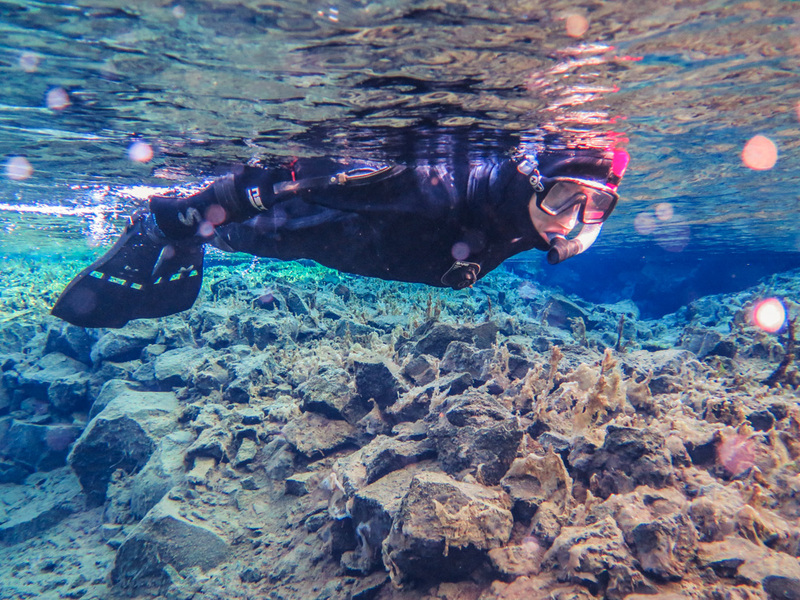 The sun was shining that morning which lightened nicely the crystal-clear glacier water and made the mixture of deep blue, green and yellow colors below look amazing! 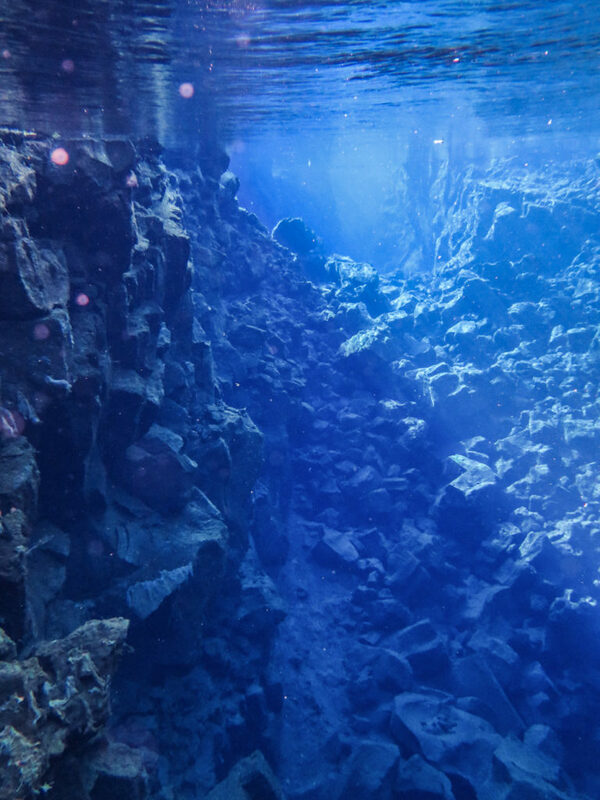 Actually, the water in Silfra is probably the purest water on Earth and also pretty good to drink (I don’t joke, I did many times when laughing 😀 ). 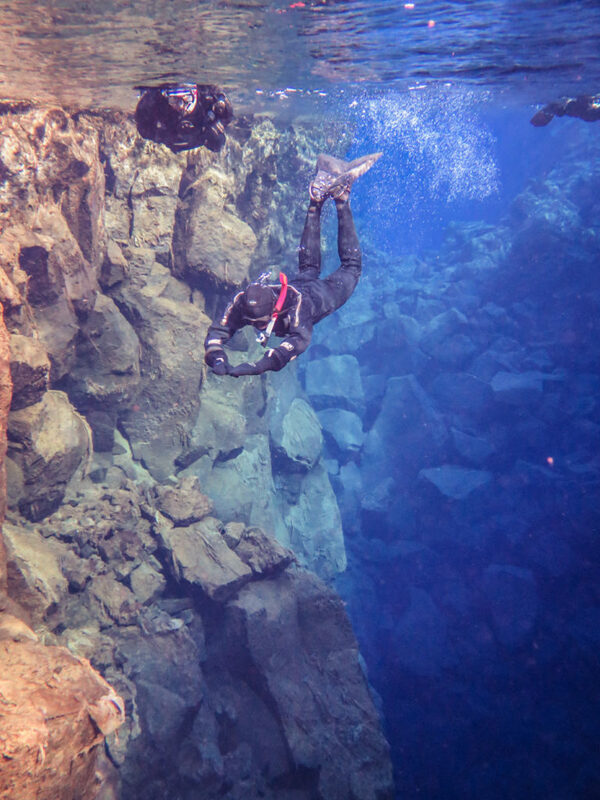 As our instructor told us, it takes the glacier water 30-100 years being filtered through the porous underground lava until it reaches the Thingvellir lake. 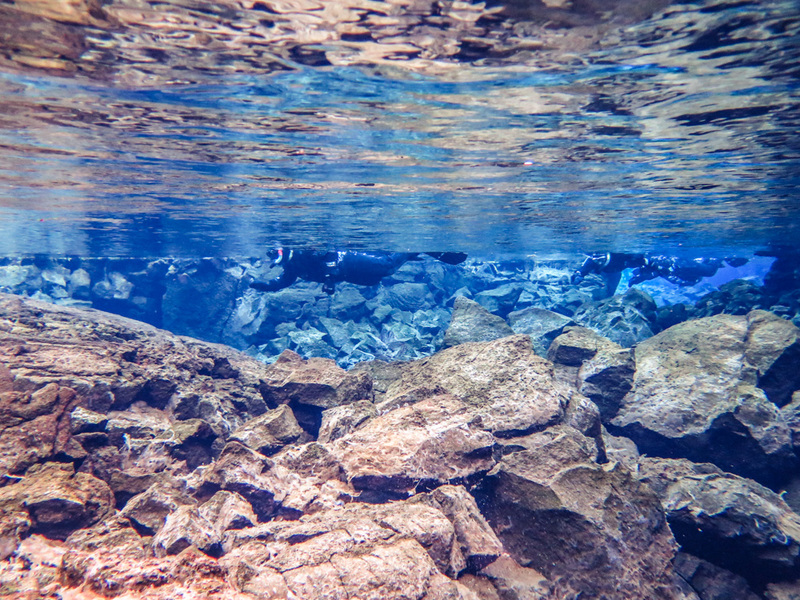 Here are some awesome pictures taken by our instructor Scott from DIVE.IS, enjoy! 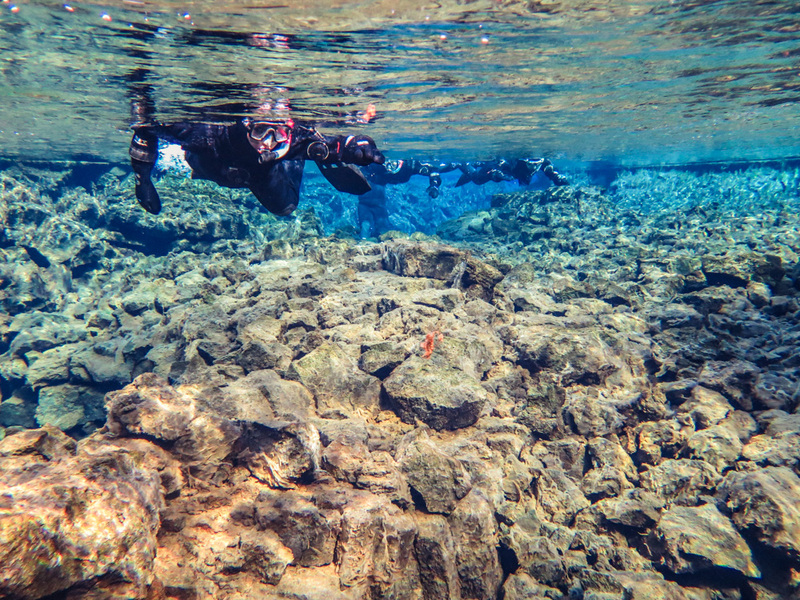 Snorkeling or Diving in Silfra can easily fit your Golden Circle Tour as it lies in the Thingvellir National Park, about 60 km from Reykjavik. 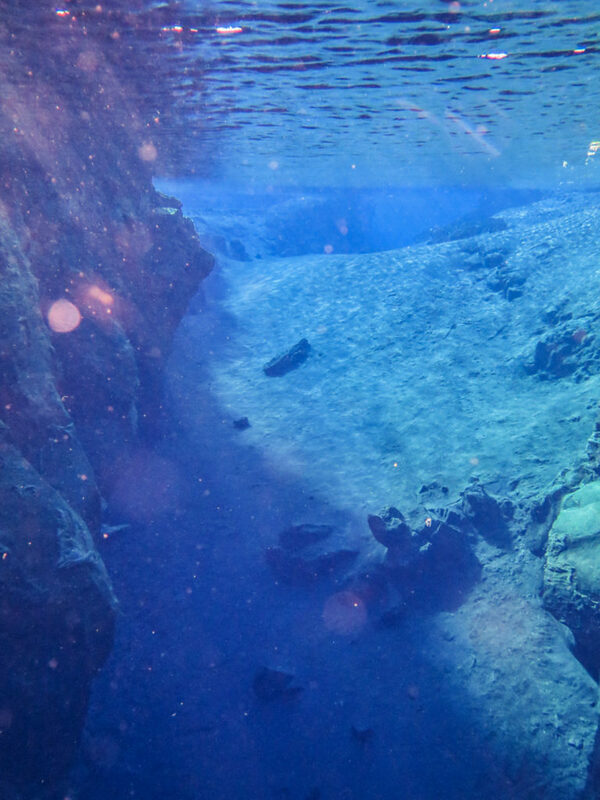 You can find more information on the website of DIVE.IS. 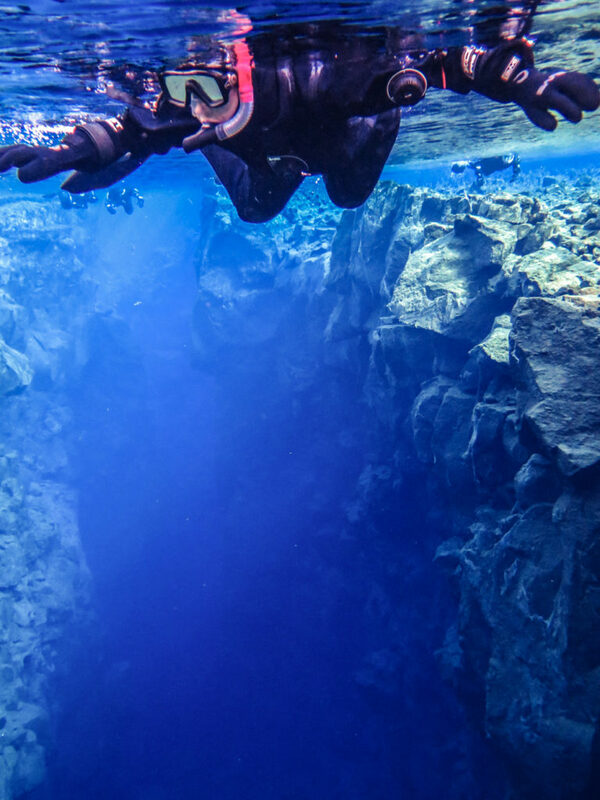 Have you been to Silfra? 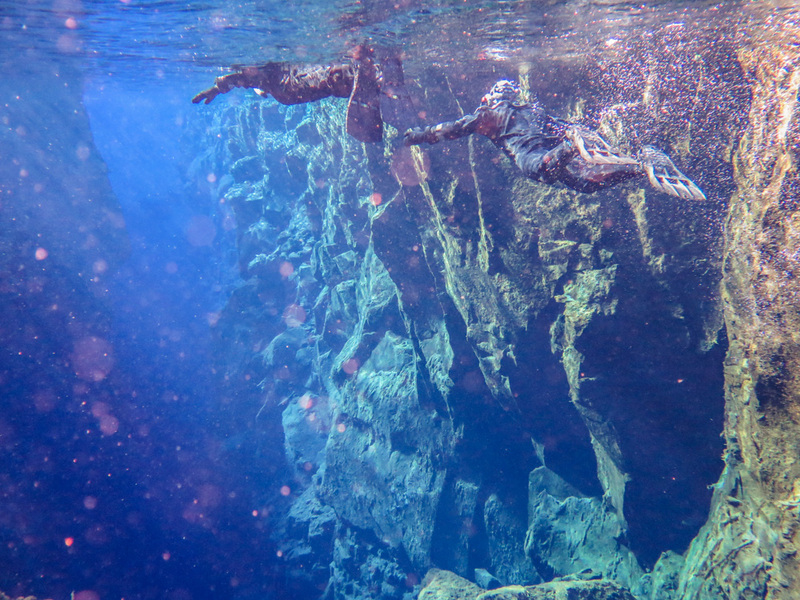 Did you do snorkeling or diving? Tell me about it in the below comments! 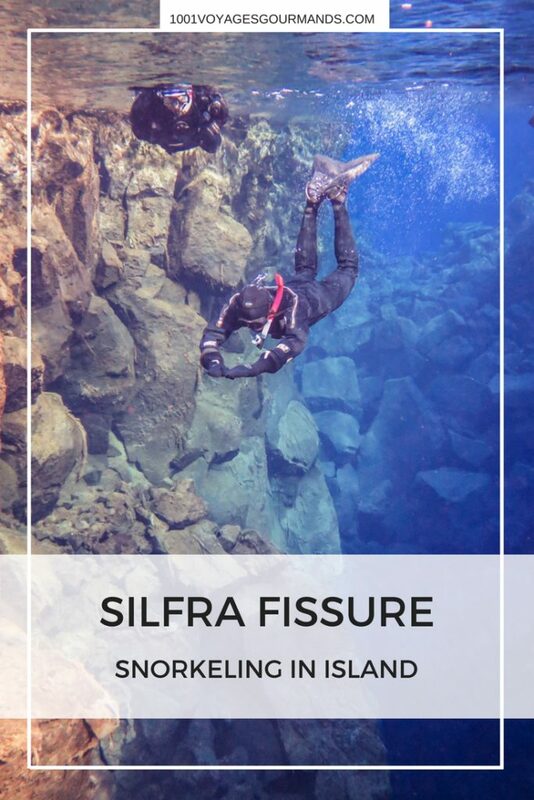 Disclaimer: This is not a sponsored post nor did I receive any reward for writing about snorkeling in Silfra. I simply want to share my experience with you! 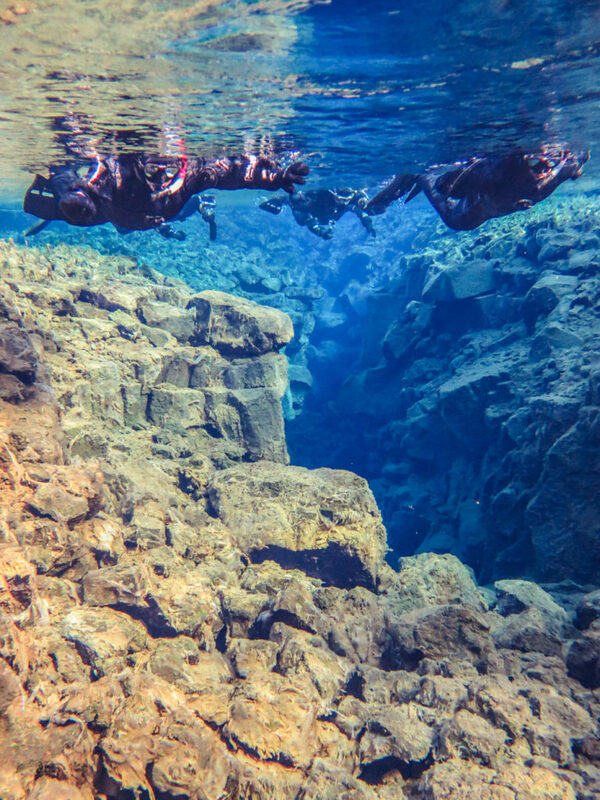 All photos were taken by our instructor Scott and belong to DIVE.IS. Unbelievable photos! What an amazing adventure. I wish we had done this! So cool! Gahh I booked this but the weather turned so we couldn’t go! I’m loving your photos and I’m so glad you had a great time!